Face it; we live in a world with too many choices (backpacks included). 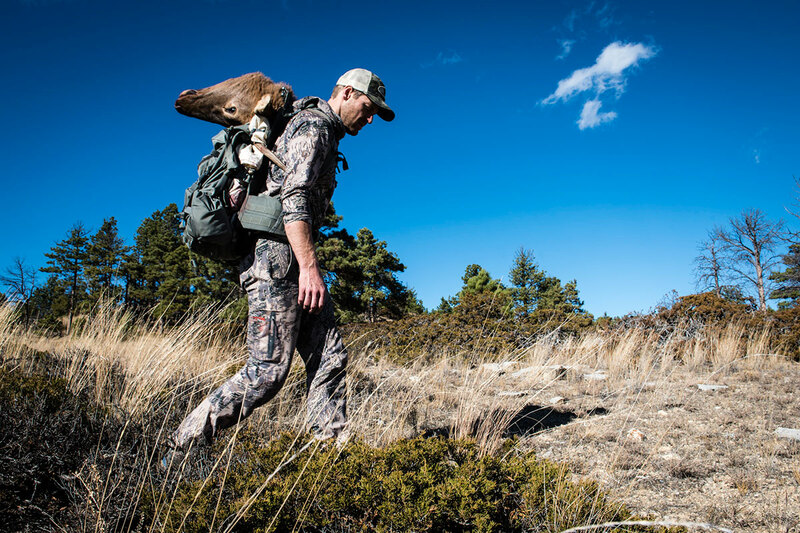 As someone who wants or needs to carry heavy loads – for missions ranging from alpine cragging or backcountry elk hunts, to wildland firefighting or patrolling hostile terrain – we're here to help you cut through the noise. 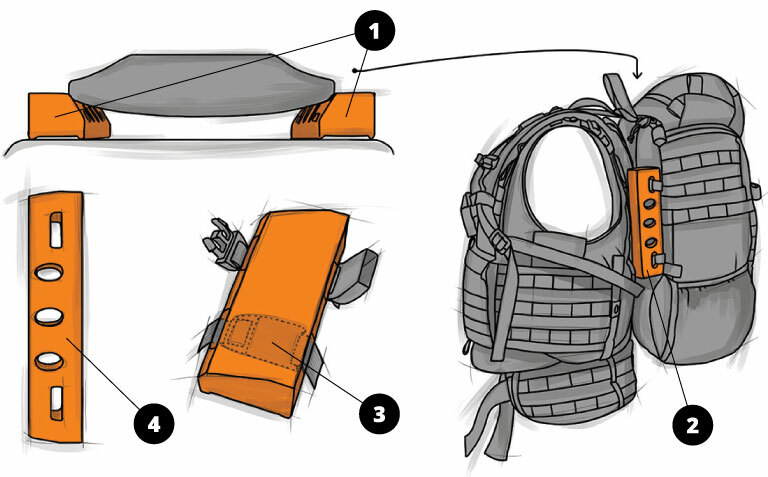 In short, we want you to understand the fundamental design ingenuity and load-bearing solutions that differentiate our backpacks from the others in the market. You've heard the adage, "necessity is the mother of invention." Well, in our case, the necessity was fixing other peoples' gear (primarily backpacks) that had failed in the course of normal, in-the-field use. Our very first enterprise – dating back to 1975 – had us hunched over sewing machines, repairing blown out gear. 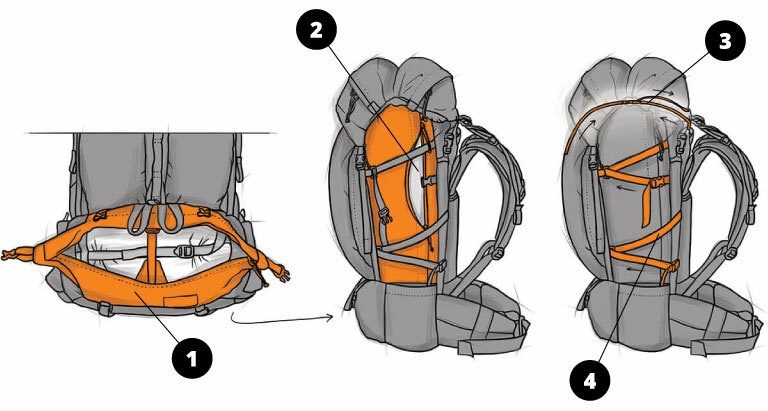 From these humble roots, we learned a whole heck of a lot about where the "Achilles heels" existed in backpack design, materials, and manufacturing. With this foundation, we began making packs for ourselves and our friends. Our pack-focused enterprise grew out of these pragmatic, labor-of-love beginnings. 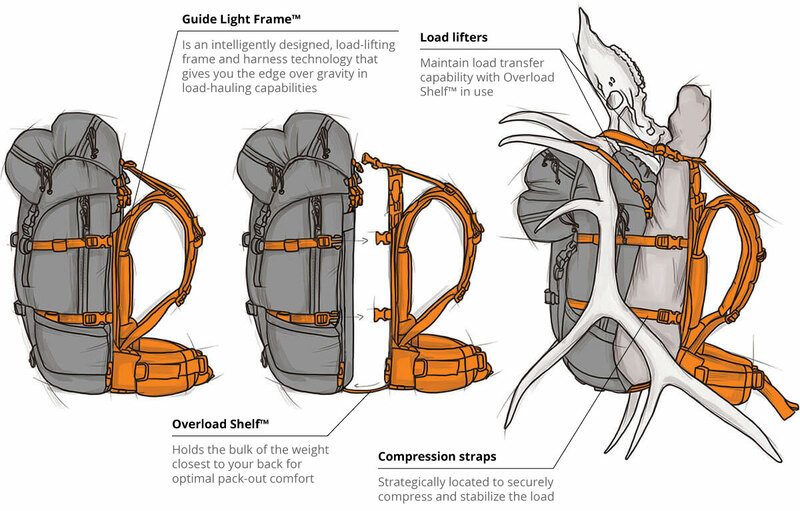 Bottom line – we want you to better understand our backpacks: what makes them the most comfortable packs on the planet for big, awkward, changeable loads. What patented design elements make them easily customizable to fit you perfectly. And, what materials and trim components are thoughtfully chosen to make ours the most brick shithouse backpacks available. In essence, we want you to have a crystal clear understanding what makes our packs the premium choice in an often-blurry marketplace. 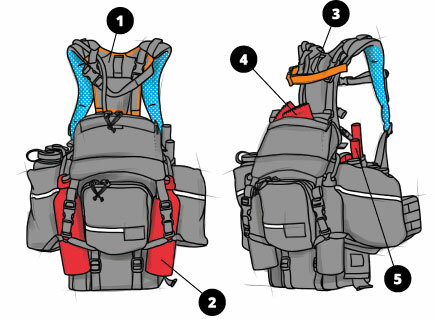 Different from the get-go – Most backpack makers start with the packsack because that's what most customers look at first. They then cobble a pair of shoulder straps and a hip belt onto said "design." The shape and aesthetic silhouette of the bag, the color palate, the shiny trims and bling features... these are their tier one considerations. 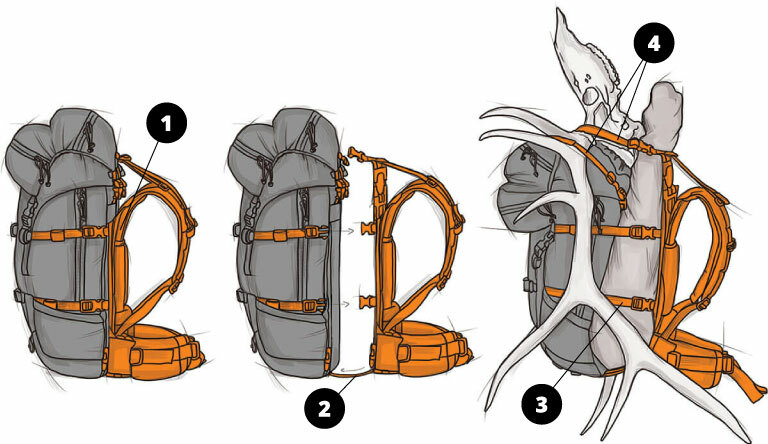 The frame, harnessing, and related suspension are, for many backpack brands, tier two considerations. Which is to say, how the pack's load carries is an afterthought for most. At MYSTERY RANCH, how the load transfers and carries – over the long haul – is our #1 consideration. As Dana Gleason (our charismatic, mad-scientist founder) likes to say, "Some of our best ideas are born of fascinating problems." When you cram most packs full, they tend to get round. They no longer maintain the desired concave curve up over your shoulders or wrap supportively around your waist and hips. 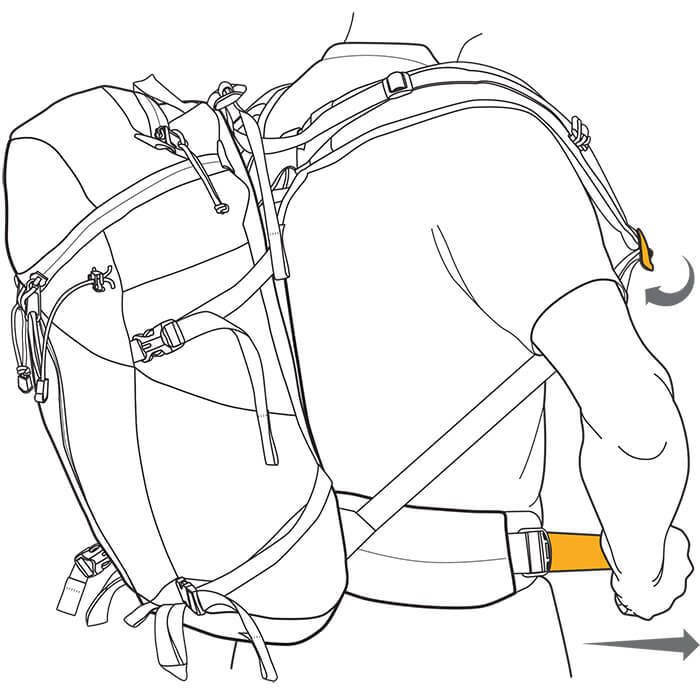 So you either have to have a heavy duty, fairly rigid frame, which is precisely fitted to you, or you can try to load the pack meticulously and hope it maintains some semblance of your back's shape. That's something no one does very successfully. At MYSTERY RANCH, we don't try to make the whole load take on your exact shape. Instead, we've engineered a more functional, more achievable solution. 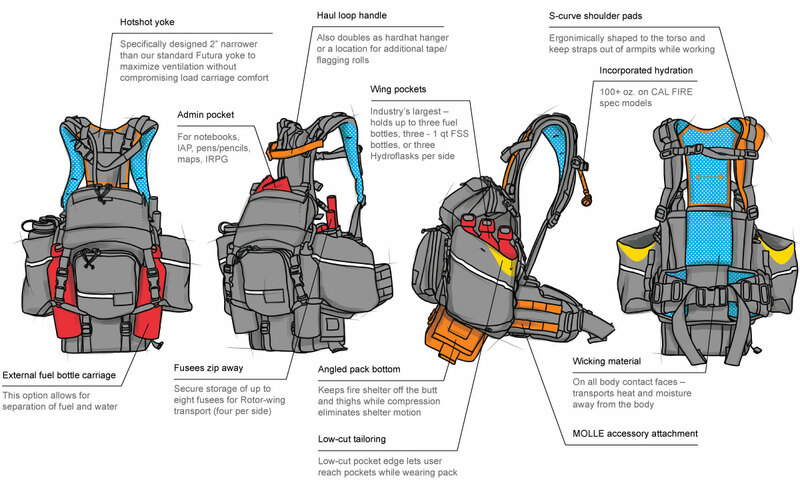 Unlike other backpack makers, we build our pack bags and the load transference systems (what we call the mainframe) separately. These two critical elements are addressed with their own distinct design and engineering solutions. We design and sew our pack bags for optimal containment and taming of the load. Then we engineer a Load Carriage™ mainframe – separate from the pack bag – that can be ideally customized to fit your unique anatomy. All the personal shaping takes place outside of the pack bag. Most of our mainframes are built out of composite materials, so they flex as you pull on the lifter straps. Instead of the load distorting the pack, the load is shaped and contained in the most ideal manner – fairly flat and essentially twice as wide as it is thick on the mainframe. 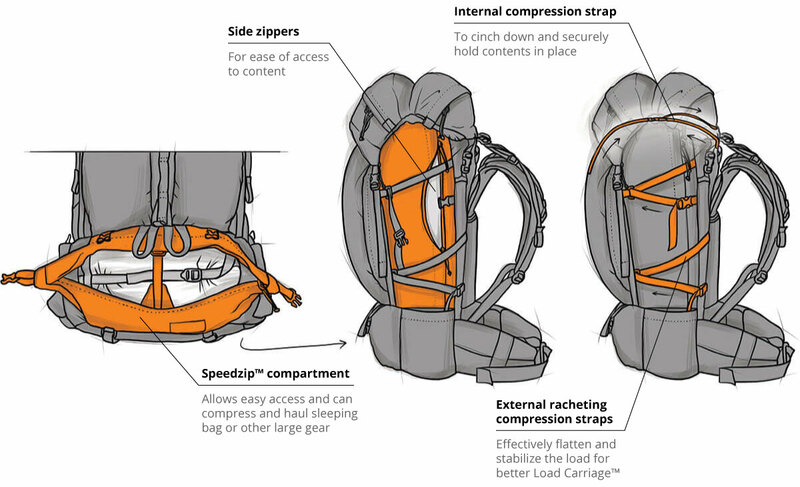 We then engineer all of the shaping for the shoulders, waist, and hips, outside of the pack bag, so it functions independently from the distortion that compromises most internal frames. This is the key difference in MYSTERY RANCH packs. We do not sacrifice with materials or trim components to shave weight. Rather, we focus on the load-bearing features in our harnessing and frame and how they optimally support the load. In response to our "gram-shaver" friends, we assure you, long-haul comfort is way more important than micro tweaking the showroom "weight" of an empty pack. Remember, a 40lb load that carries like 30lbs is way preferable to a 40lb load that carries like 50lb. 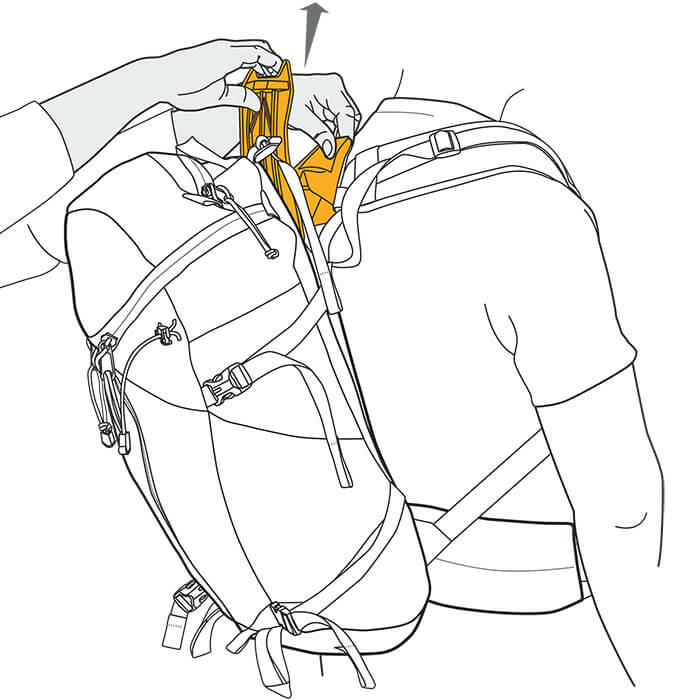 Our packs are different in that they let you adjust the yoke via a telescoping design – up and down – to fit the exact length of your torso. By moving our form-fitting molded adjuster, we move the shape as well. This is a patented feature unique to MYSTERY RANCH. 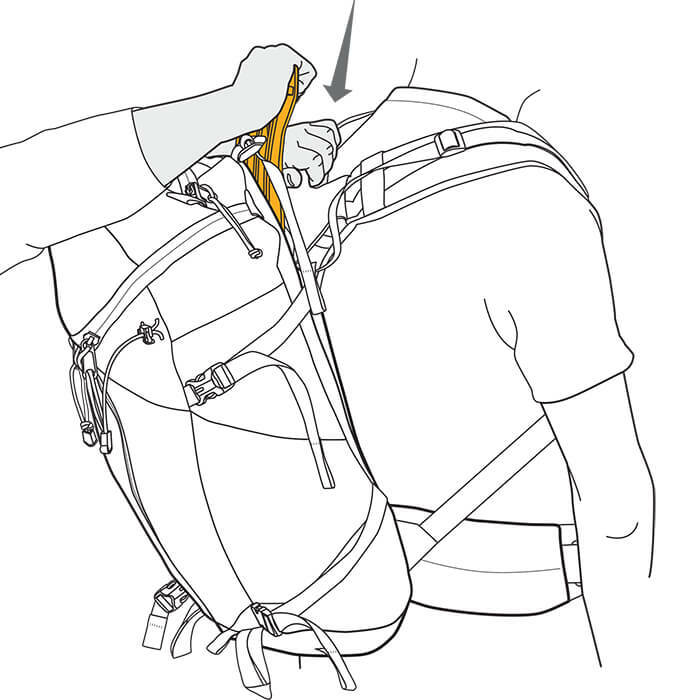 In short, our telescoping harness design, in conjunction with our patented lumbar wrap, allows us to custom fit any of our packs for any customer for any mission. Our form fitting "adjuster" gives an accurate representation of your upper back. No matter how you move, the load comes with you. There's no sag, no gaps, no dead spots... it's a dynamic system that moves with you. Our active frames flex to a point and then resist at the end of their range. 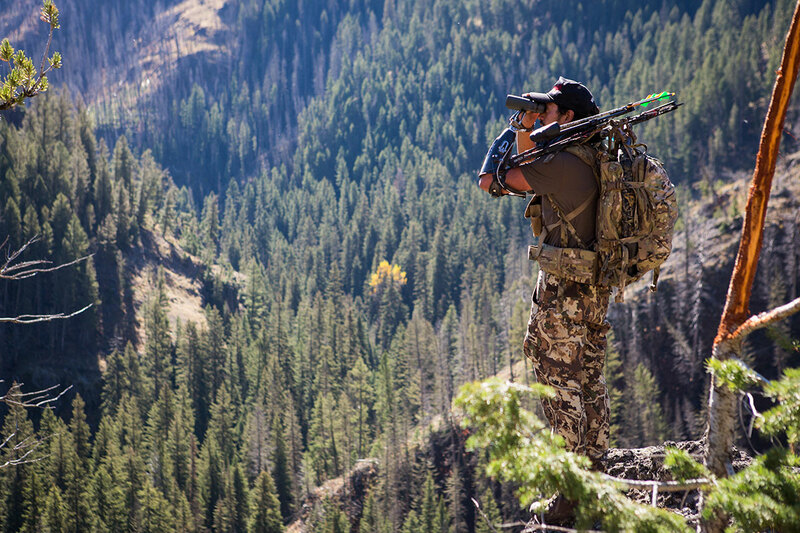 MYSTERY RANCH frames serve as an active brace to make the load behave no matter how unwieldy and changeable. Our packs feature active suspensions which means they're designed to flex and move equal to how much your body can flex and NO MORE. We achieve this by building a central core of rigidity to our frames, using two, vertical stays and then reinforce this dynamic tensioning all the way out to the frame's edges. We've isolated that flex, so it has just the amount of flex your shoulders need when you walk – nothing more. And as you get towards the extremes of that flex, it resisting the flex more whereas most of our competition resists flex right from the start if it's got a full load in it. Yes, we are control freaks (when it comes to frame flex and load stabilization). We engineer packs that stabilize and control a wide range of loads and let your body move naturally and dynamically throughout a gamut of motion. In solving these equations, we ask: Who is the end user? What are they carrying? How are they using it and in what environment? 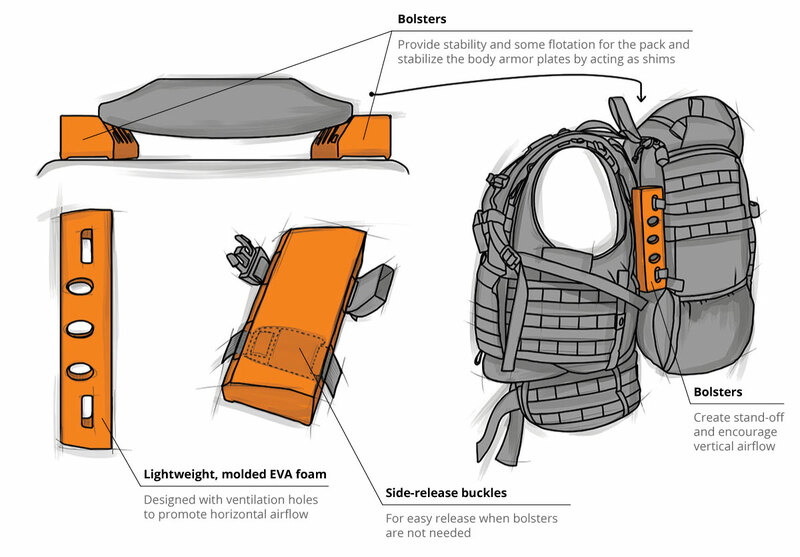 Our challenge is to synthesize all of these inputs and then design purpose-built backpacks that evenly transfer weight, making the load as easy to carry as possible. A key design challenge we face in our Military Line is integrating Load Carriage™ architecture in and around the unique contours of body armor. The convexity of the ceramic plate creates a pivot point allowing the pack to shift from side to side as the soldier moves. One of our solutions was to develop removable bolsters that affix to both sides of the body panel. These Bolsters help secure the pack onto the ceramic plate, stabilizing it throughout a full range of motions. The bolster acts like a shim to keep the pack from pivoting, helping preserve a soldier's energy. 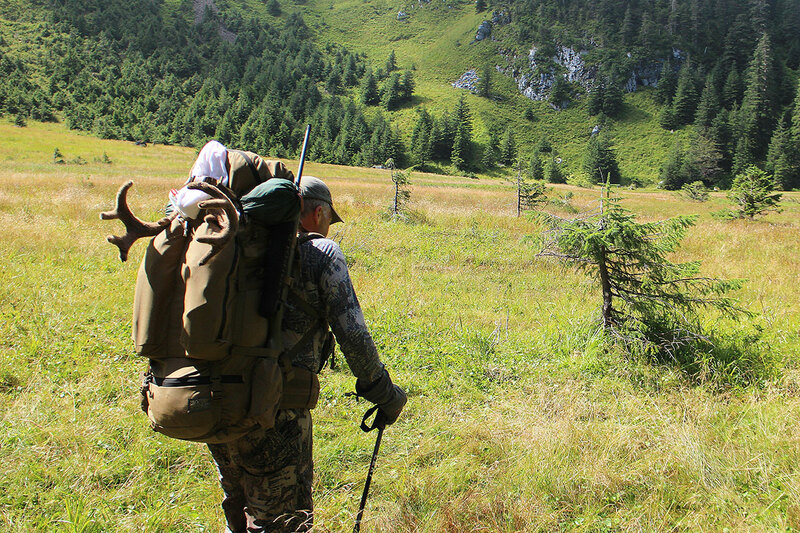 For hunters, the Load Carriage™ challenge arises when it's time to haul meat back to the trailhead. As avid backcountry hunters, ourselves, this is where we dreamt up the Guide Light Frame™. Our Guide Light Frame™ lets you remove the pack bag from the frame, revealing a sling and compression straps, with which to secure your harvest. This process is detailed in our Overload Shelf™ feature. The beauty of this system is that it allows for the heaviest part of the load - the meat - to be closest to your back. 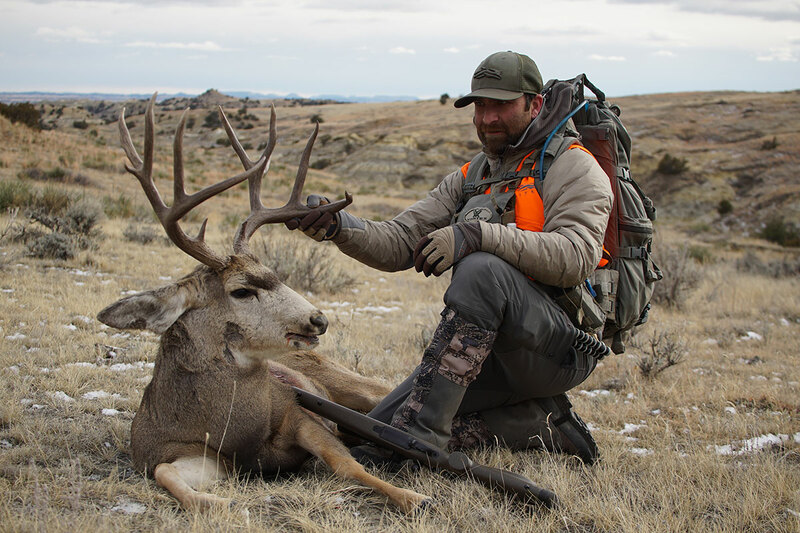 This is the ideal scenario when packing anything heavy or awkward, as it least affects your center of gravity, keeping you nimble in the terrain where we find big game. Our Mountain Line reflects our deepest MYSTERY RANCH heritage as well as our latest offerings. This line has benefited hugely by drawing from our design experience and load carriage challenges we've faced in Military and Wildland fire. 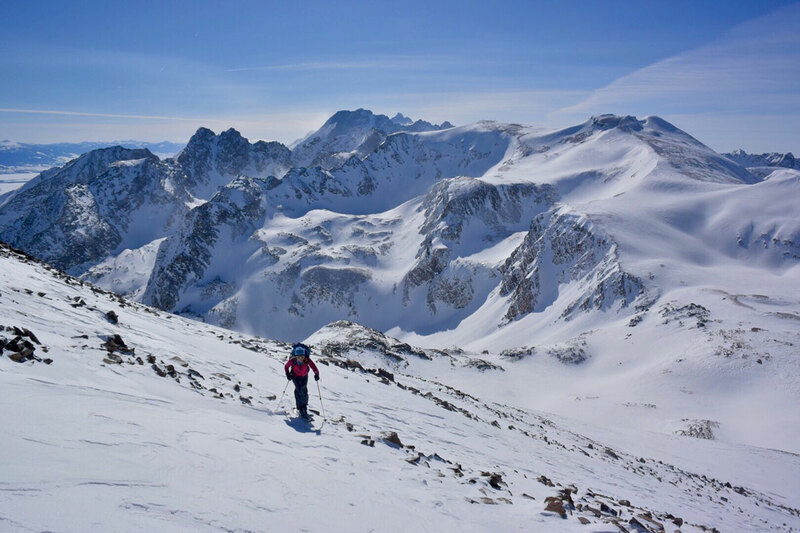 Our mountain line draws many features from the tried and true designs in these professional lines. 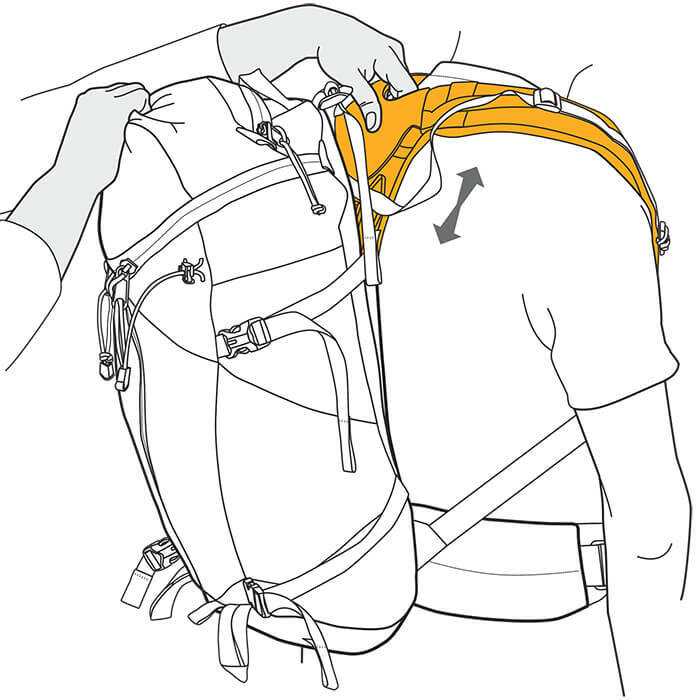 Compression is key when packing a pack, therefore, the Mountain line features many compression features - both internal and external - as well as strategically placed zips for ease of access to the contents of the pack. Within this line, you'll also find harnessing specifically designed to fit a women's body. Though we already offer three yoke sizes and can fit a vast range of body shapes and sizes, the introduction of our women's specific yoke allows us to provide further customization from which we've built our reputation. 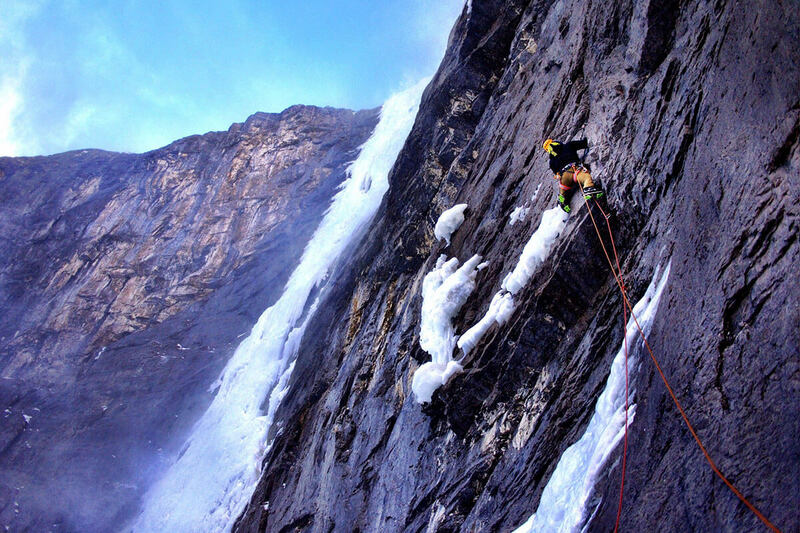 Proven performance in some of the world's toughest environments. The world's foremost zipper manufacturer. "YKK® delivers the best reliability we've ever seen - year after year, after year." "We use the heaviest duty buckle suite we can get." Auto locks on compression straps and textured webbing in critical areas eliminate slip. "Adjust once and be done." Heat x vibration = Densified urethane foam. "The foam that never dies." Fiberglass, Carbon fiber, Aluminum, HDPE. "Our frame materials are tougher than we are." TEFLON® C6 - innovative, durable repellency. "Continuing to choose the best options in water repellency for our environment." 6,6 Nylon - Exemplary strength & toughness. "6,6 is twice as sixy as 6 - (which is most commonly used)."